b) B3105 Woolley Green, Bradford on Avon; from its junction with B3105 Woolley Park to its junction with B3109 Sladesbrook. 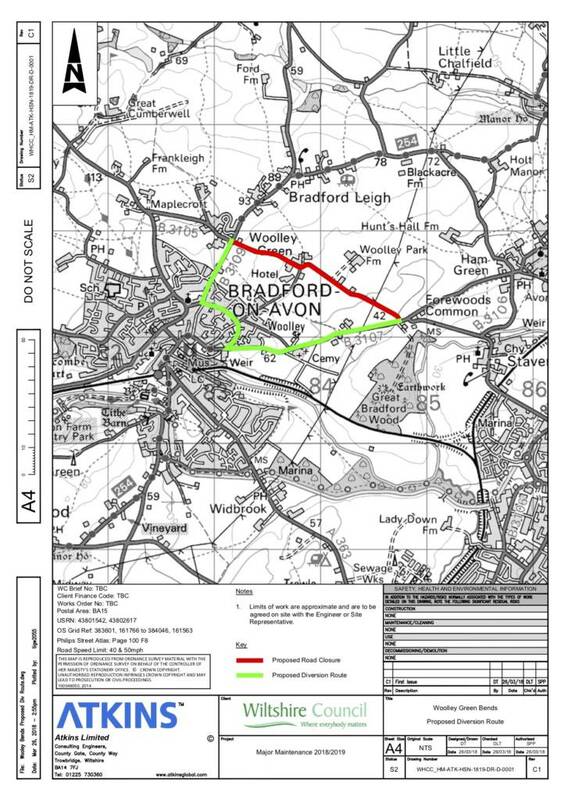 To enable: Tarmac to carry out carriageway resurfacing and associated maintenance works. Alternative route: via B3109 – B3107 and vice versa. This Order will come into operation on 13 August 2018 between the hours of 09:30 and 15:30 and it is anticipated the closure will be required until 21 August 2018. It is anticipated that the works will take the stated duration to complete depending upon weather conditions. Access will be maintained for residents and businesses where possible, although delays are likely due to the nature of the works. The Order will have a maximum duration of 18 months.